Jennifer Garner's backyard chicken farm is a little quieter than usual these days. That's because the actress and self-proclaimed hen lover had to say goodbye to one of her favorite cluckers recently. On Monday, Garner shared a memorial clip with fans that highlighted happier days alongside her feathered friend. "Please enjoy this tribute to Chicken Regina George who passed away from natural causes," she wrote, adding a chicken emoji, a broken heart and trio of hashtags, including "#shelivedagoodlife." Piano music scored the brief video that flashed to scenes of lazy days in the sun, a special walk on a leash and even a glimpse at what coop life was like for the fowl. Regina George was named after Rachel McAdams' infamous "Mean Girls" character, but all evidence — in the form of pics and past videos shared by Garner — indicates the bird didn't take after her namesake ... except when it came to her one turn-off. In a profile post Garner put up last fall, she described Regina as a pet who loved "long walks, dehydrated bugs and kale." 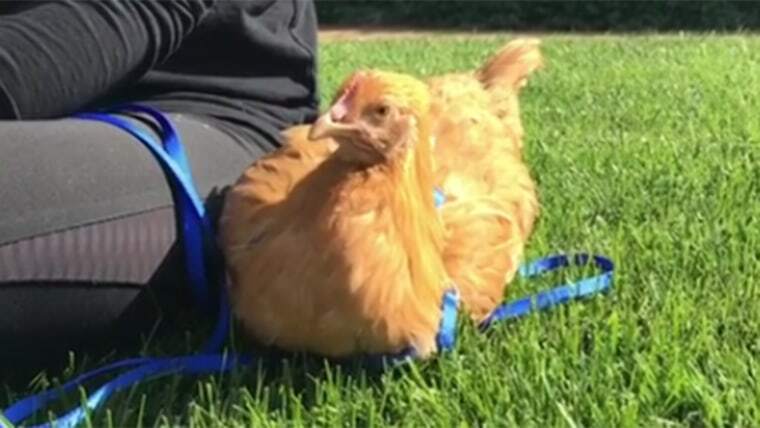 But she claimed the chicken really hated "carbs." The one thing Regina seemed to love most of all was the time she spent with her person — and it's clear the appreciation was mutual. "How long do you think you'll live?" Garner asked the bird in a video she uploaded in December. "Don't get thoughts of escaping in your mind. What would we do without you, Regina?" Sadly, that time has come, but Garner is making sure Regina's memory lives on.